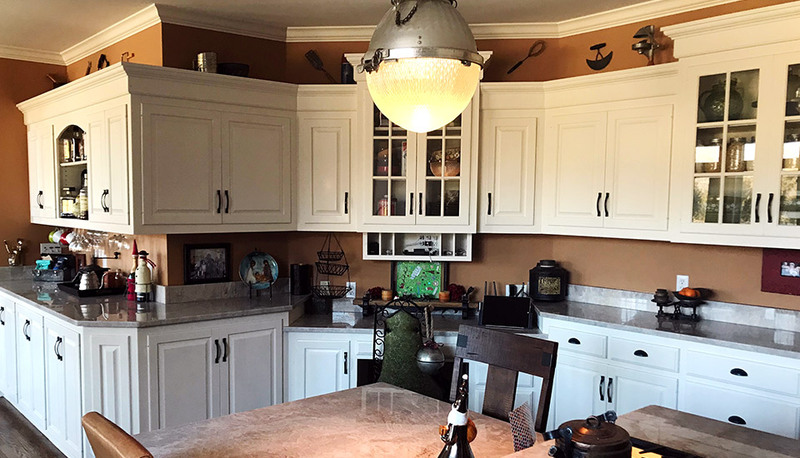 This kitchen remodel required a little extra customization for our clients. 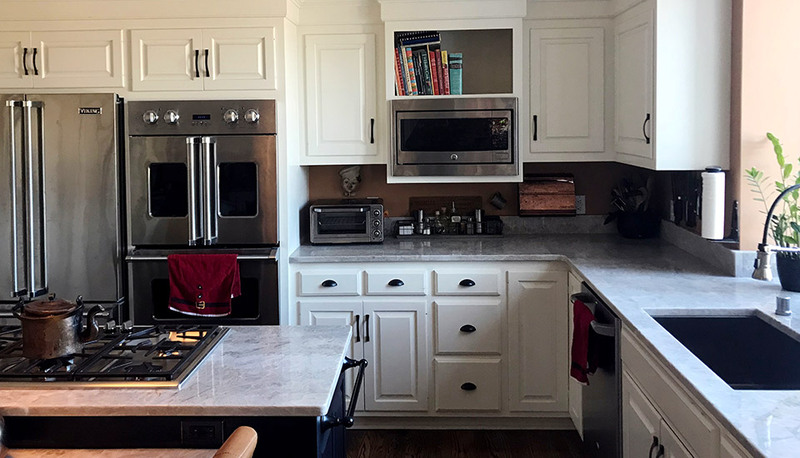 To help the flow and function and to make using the space easier for our client, we lowered the cooktop countertop 1” to accommodate for their height. 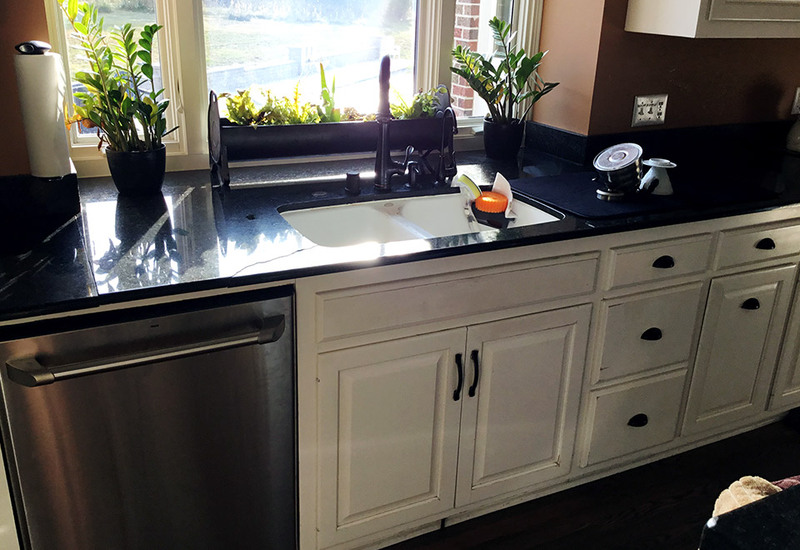 Dropping the working surfaces by just one inch made the kitchen much more accessible and easy to use! 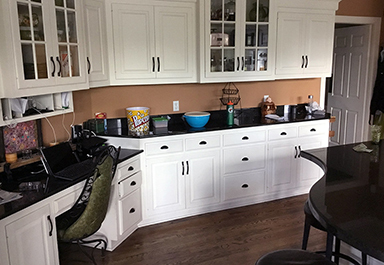 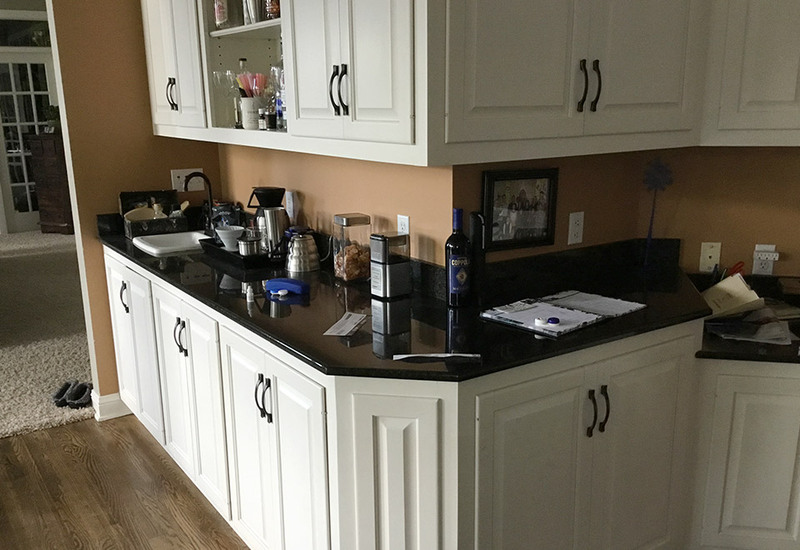 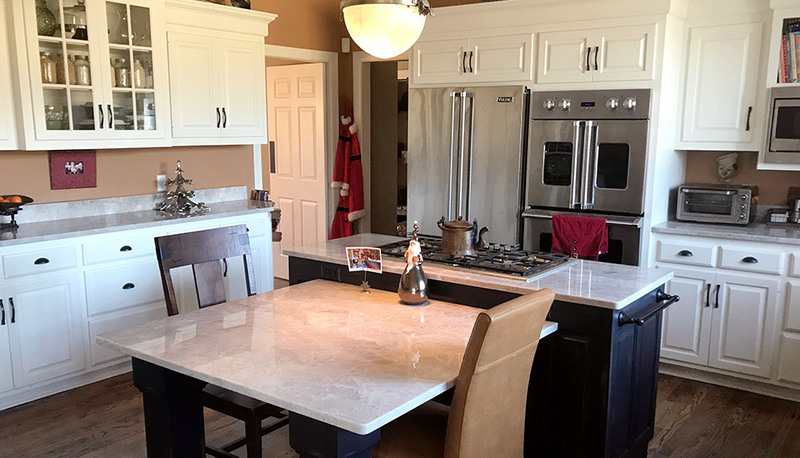 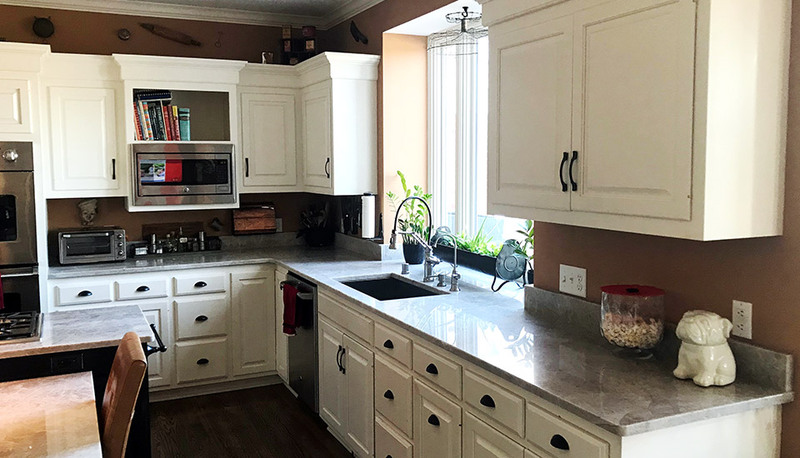 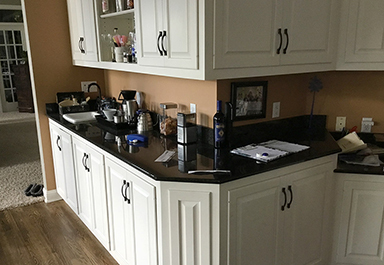 On top of lowering the counters, we added beautiful custom quartzite countertops to complement the white cabinetry and designed and built a custom island. 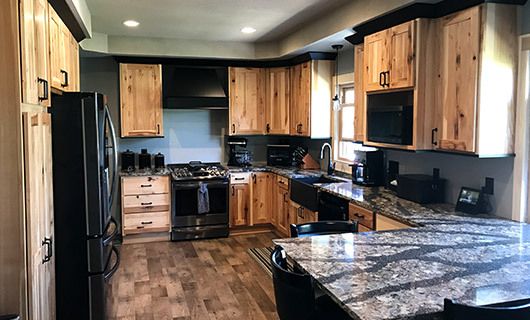 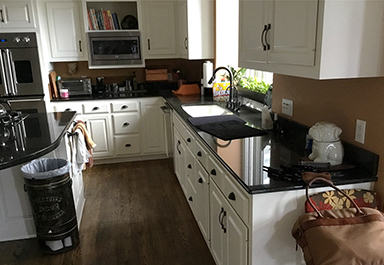 The new kitchen island features a gas range, Black Distressed Customer Island to match the black door pulls on the cabinets throughout the kitchen, and a quartzite countertop. 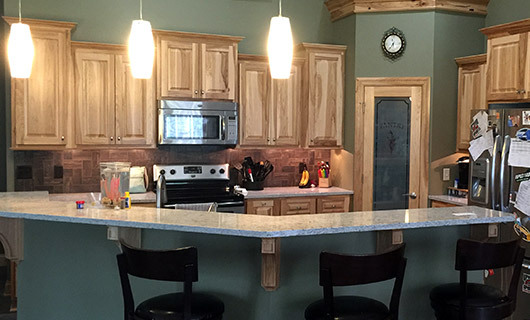 An extended seating area with Quartzite complete the space. 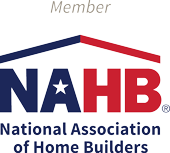 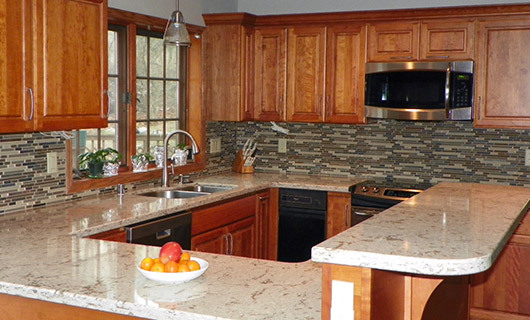 The Quartzite color is Ghiaccio with a satin finish. 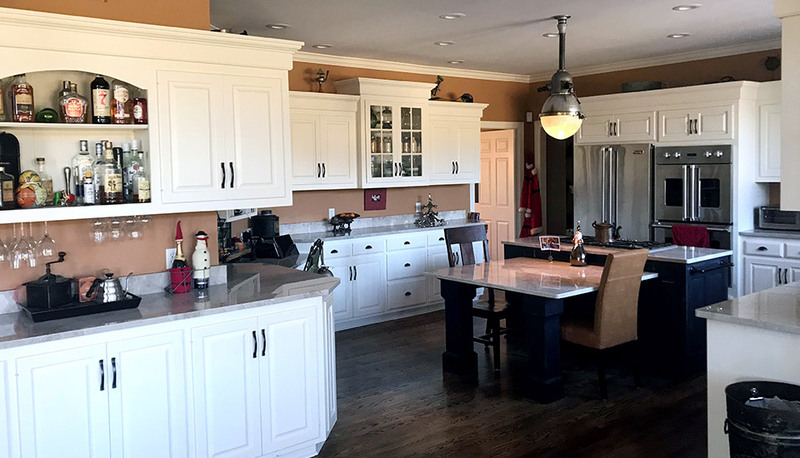 This kitchen is so much more than elegant, it’s also perfectly suited to the owner!